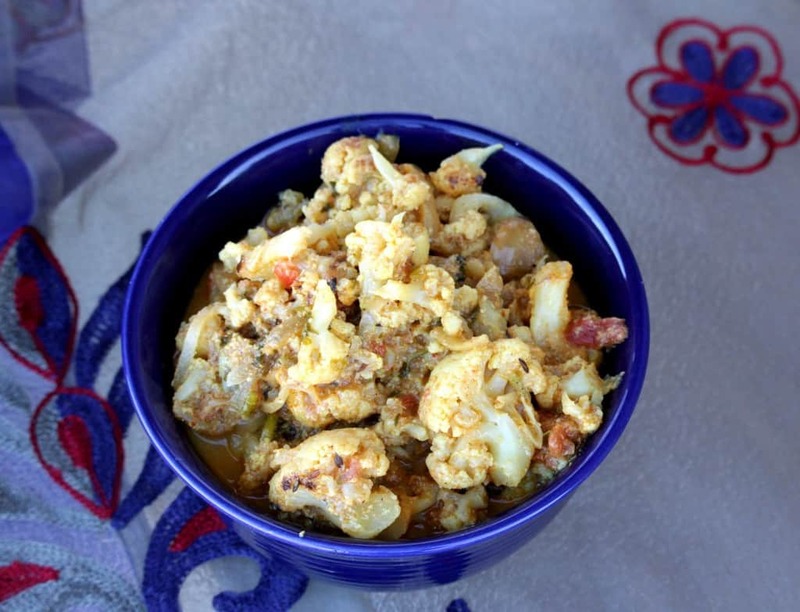 Cauliflower is one of our favorite vegetables and I love to make many different recipes with it. 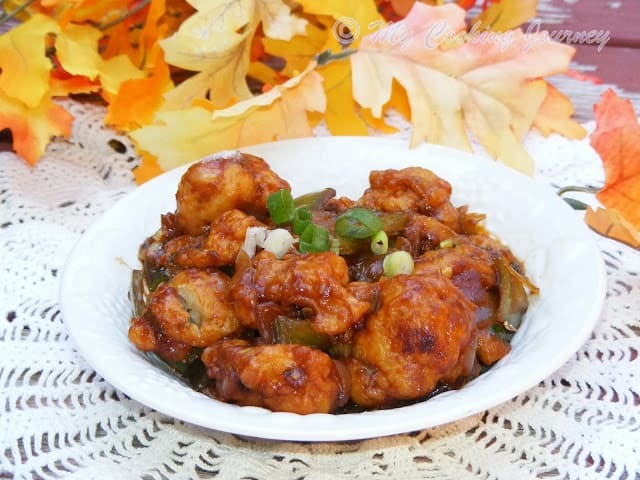 One of our all time favorite is the Cauliflower Manchurian. Anytime my boys see a cauliflower in the store, they ask me to make Manchurian. 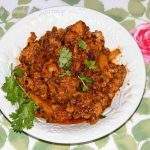 Owing to the richness of the Manchurian recipe, I make it only once in a while. 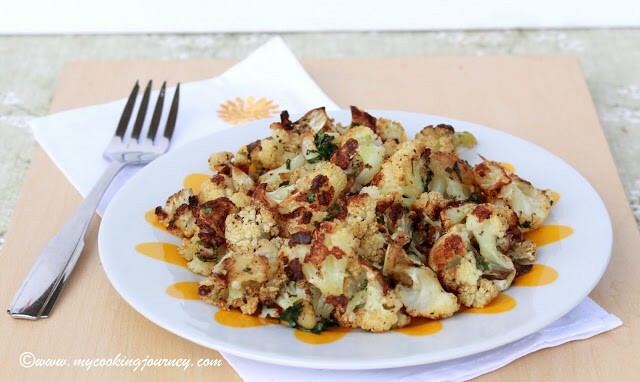 The next favorite is the oven roasted cauliflower, which is by far the easiest recipe I have made with cauliflower. 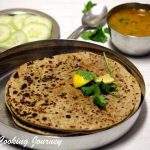 It takes only few ingredients and is ready in a jiffy. The only disadvantage is the cauliflowers disappear in no time. 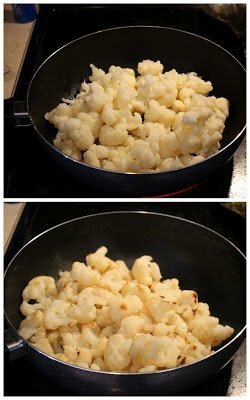 Hence if making the oven roasted cauliflower, make sure you use at least 2 heads of cauliflower. 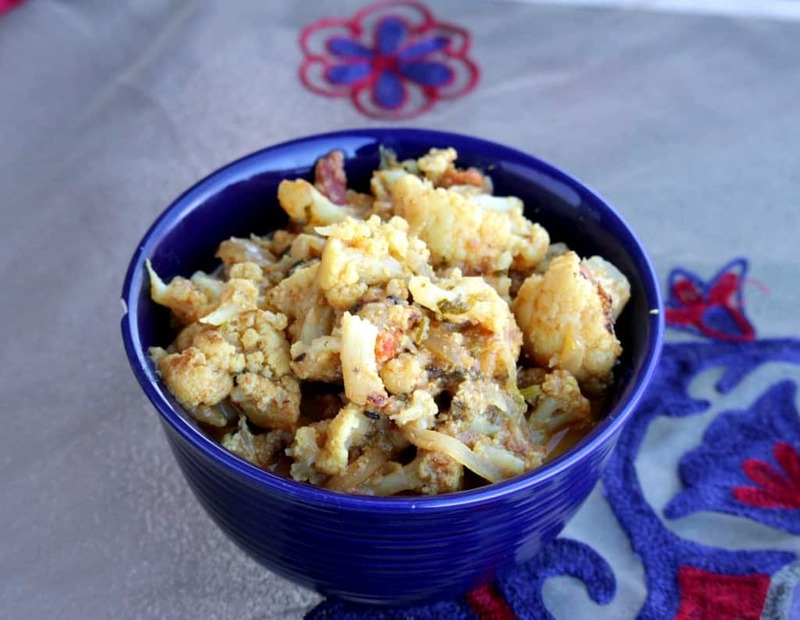 I also use the cauliflower in mixed vegetable kurma and subzi. 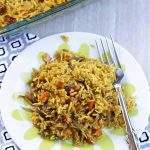 If thinking of one pot meal with cauliflower, definitely try this Cauliflower Dum Biriyani. 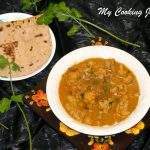 Coming to this Cauliflower Kurma recipe, it is more of South Indian kind of side dish that goes well with roti as well as rice. 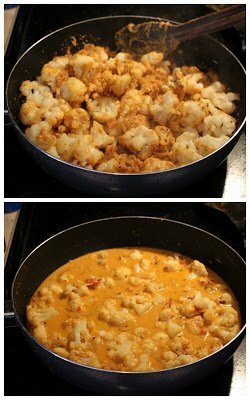 I am assuming that this cauliflower kurma can also be used as a side dish for idli or dosai, but I have not tried it. Also, I have learned over a period that parboiling the cauliflower and then sautéing them, helps in retaining its crispness without disintegrating in the gravy. I would highly recommend this step and would not skip it. 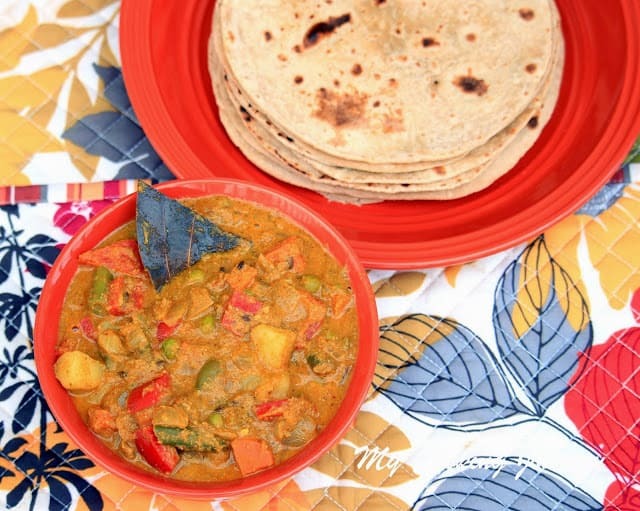 Soak the cashew nuts and the poppy seeds in warm water for about 10 minutes and then grind it into a paste along with other ingredients in the list. Keep it aside. Clean the cauliflower and remove the florets. 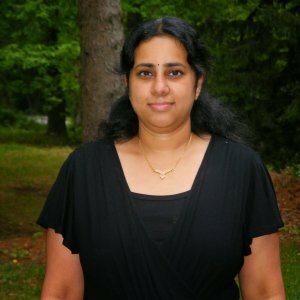 Heat water in a large pot and add salt to it. 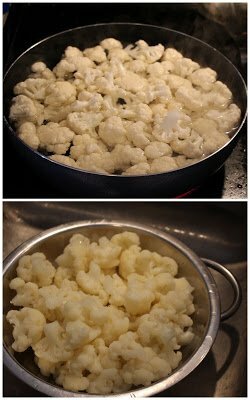 Add the prepared cauliflower florets to the boiling water and par boil it until it is fork tender. 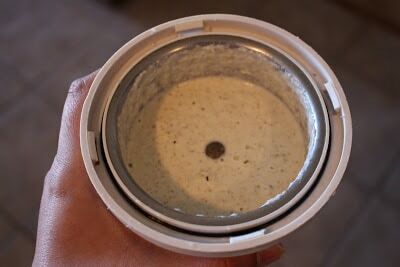 Make sure that it still has a crunch to it and not too mushy. Drain the florets and then sauté them in 1 tbsp of oil until light brown spots appears on them. Remove from the pan and keep it aside. In the same pan, heat 2 tbsp of butter or oil or a combination of both. Sauté the sliced onions until golden brown and then add the ginger garlic paste. Fry for a minute more and add the chopped tomatoes. Add the dry spices; turmeric powder, red chili powder, Dhania jeera powder, garam masala and salt. 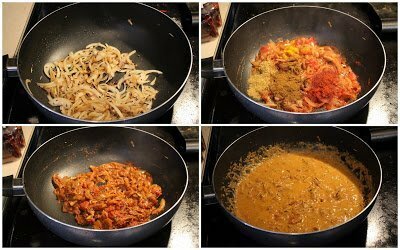 Mix well and let it fry in medium heat until the tomatoes are mushy and the oil separates from the masala. 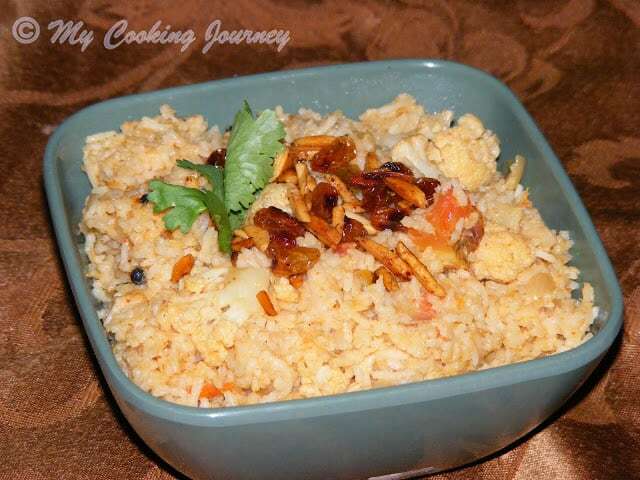 Add the ground coconut masala and let it cook on low to medium heat for about 5 to 7 minutes. 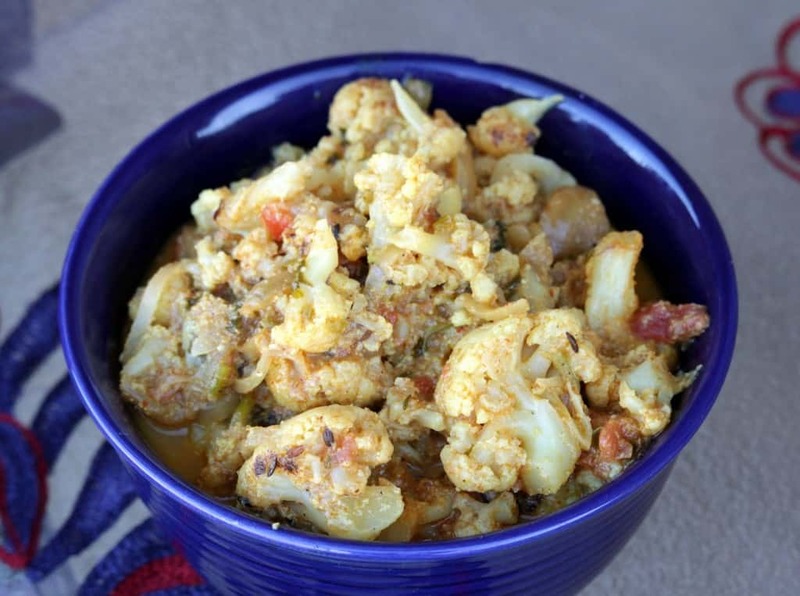 Add the sautéed cauliflower florets and mix well. Add water needed to adjust the consistency of the gravy and let it come to a boil. 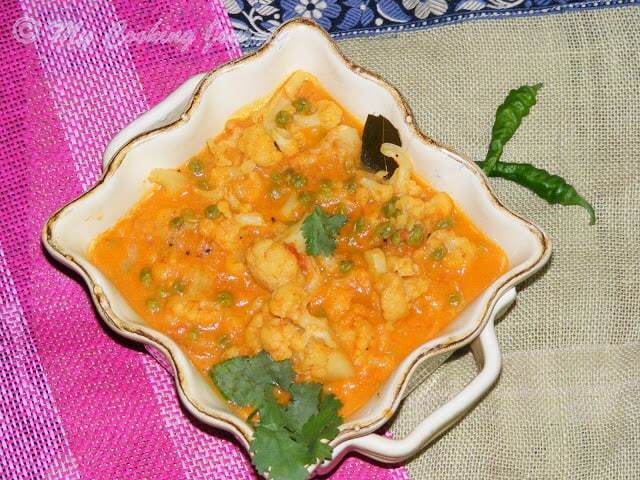 Simmer for few minutes and then garnish the Cauliflower Kurma with cilantro. 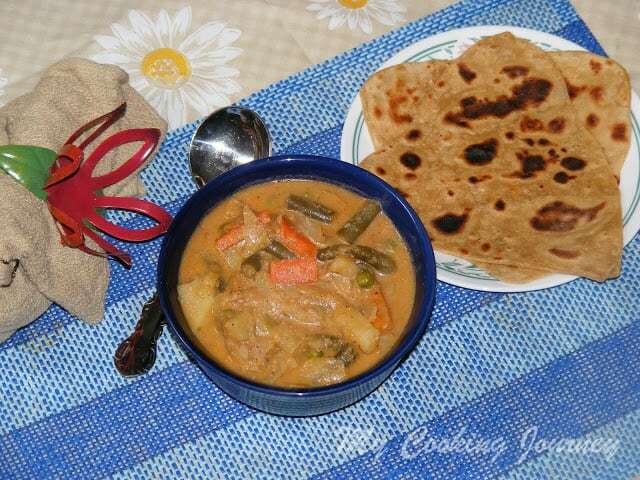 Serve with roti or rice.